One of the most cited and celebrated rights in the United States of America is the right to a trial decided upon by a jury of one’s peers. When a person is facing criminal charges, they can elect to have a trial by jury, and their lawyer will defend them in court. While this is supposed to be a guaranteed right, oftentimes, many cases are resolved through plea bargaining with the prosecutor. Plea bargaining is basically a negotiation between defendant and prosecutor to work out a deal where the defendant accepts certain charges and their consequences, while the prosecutor offers to drop others. While plea bargaining can sometimes be the best case scenario, the New York Times has pointed out recently that overall, trials by jury are on the decline, and instead, most cases nowadays are being resolved through striking deals with the prosecutor, “behind closed doors,” as the article ominously suggests. The Times reported that in 1984 there were over 4,000 verdicts served by juries, and in 2015, that numbers has dwindled to fewer than half. If the disproportionate divide between jury trials and plea deals is so large, what could have caused it? Where do these disparities come from? 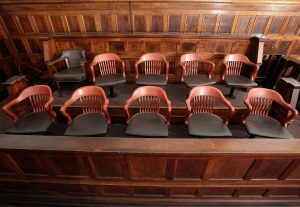 Supposedly fewer Americans are willing to serve on juries, and some New York judges are getting just a handful of criminal law trials in a year. In an article by Slate, it is also suggested that another issue that contributes to this decline in jury trials is heavy-handed prosecution. With so many statutes with just vague enough language, prosecutors can quite literally throw the book at defendants when it comes to determining charges. This means that the defendant, faced with an overwhelming number of charges, will be forced to choose between taking a plea deal that seems favorable compared to generate enough reasonable doubt in court for a multitude of charges. Trials are also presented to defendants as though they are gambles and last resorts, but only because trials are actually slowly starting to become those things themselves. 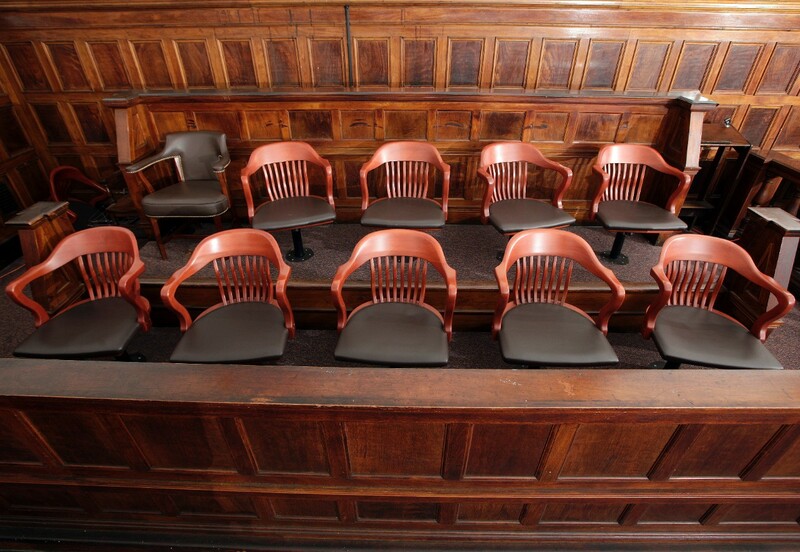 The article on Slate suggests a potential solution to the problem of the jury trial decline, an idea from one Laura Appleman, professor of law at Willamette University. In her book, she proposes a startling idea that has likely never been considered before; and if it were to be implemented could shake the foundations of the way our legal system works now. Appleman proposed that plea bargaining should be done with the approval of a jury. The jury would be selected and utilized similar to a trial jury, but they would have to approve of the fairness of the deal, as well as evaluate the defendant’s knowledgeability and willingness to accept the deal. While it is unlikely that such a system could be implemented anytime soon, it could give defendants a more fair chance when prosecutors file mass amounts of charges against them. If you or a loved one is facing criminal charges in New Hampshire, contact Tenn And Tenn today. Our criminal defense attorneys strive to be the best criminal lawyers in NH. Whether you are facing a drug offense, simple assault DWI or other criminal charge, let our experienced attorneys mount a strong defense on your behalf.